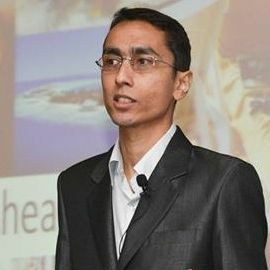 Harish is a Professional Futurist and Management Consultant from Singapore where he runs Stratserv Consultancy. He is known endearingly in the global Futurist community as “The Singapore Futurist”. Subject areas of particular interest to Harish at present are “the Future of Work”, “the Future of HR” and “Organisational Future-Proofing”. Before venturing into Professional Futures Studies, Harish worked in the areas of HR Consulting and Employability Enhancement. Harish is a Commerce graduate from The University of Western Australia with Triple Majors in Human Resource Management, Industrial Relations and Management along with electives in Marketing. From a Futurist's perspective, Harish speaks about the role and prerogative of HR in ensuring happiness at the core of the organisation as it operates in the Industry 4.0 reality.